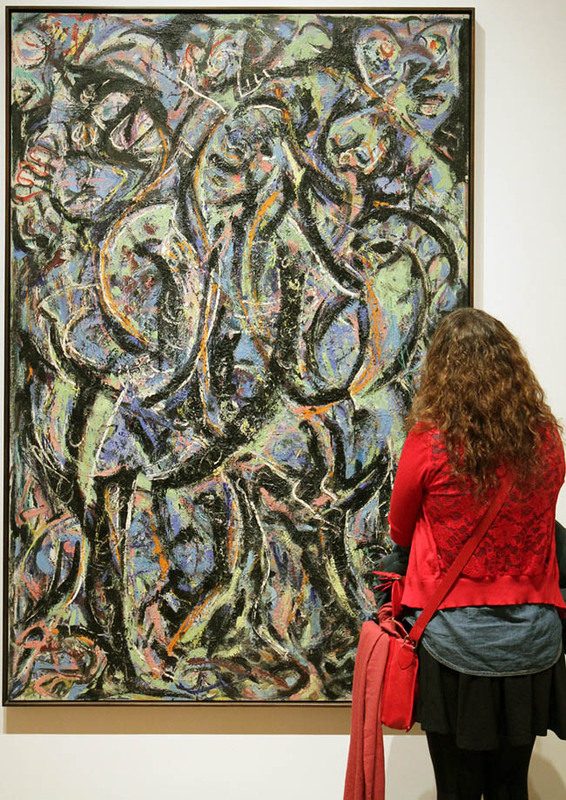 In 1944, Clyfford Still did something that no known painter appears to have done before him. Using thick, black pigment he troweled a large canvas (105 x 92 1/2 inches) with a palette knife, then cut that textured black field with a deep red wound forming the outline of an almost organic shape. Vivid yellow appears to be shining through from beneath a tear, while a drip of white appears to ooze atop the blackness. In the lower right corner, a crevasse of emerald green fights for attention. There is no place for the eye to rest and the red wound appears to extend beyond the edge of the canvas. It’s an impending work that stops viewers in their tracks at the Clyfford Still Museum in Denver where one views the artist’s work chronologically. Months before, Still was creating normal-sized paintings that merged together human figures and machines. He was getting less and less literal about the human form, moving to capture the essence and spirit of life itself and then — bam — here is this larger than life painting, thick, textural and richly black with bits of bare canvas peaking through like stars in the darkest part of a night sky. 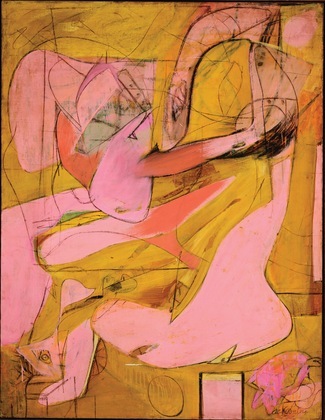 It is different than anything Still painted before and is the first of many works he would create exploring the ideas he fused together for the first time in 1944-N-No.1. While splitting his time between the East and West Coasts, Still established the basis for his original style — attributable to his Western roots. The red, vertical line in 1944-N No. 1 (and all Clyfford Still paintings) has significant meaning. Born in Gandin, North Dakota, he grew up on the prairie of Alberta, Canada. “When there were snowstorms, you either stood up and lived or laid down and died,” Still said. 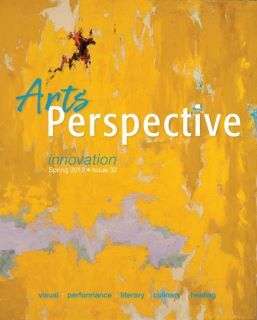 Another time he stated: “My paintings have the rising forms of the vertical necessity of life dominating the horizon. For in such a land a man must stand upright, if he would live. And so born and became intrinsic this elemental characteristic of my life and work.” To Clyfford Still, his paintings merged life and death. “As he [Still] himself has expressed it, his paintings are, ‘of the Earth, the Damned, and of the Recreated.’ Every shape becomes an organic entity, inviting the multiplicity of associations inherent in all living things. 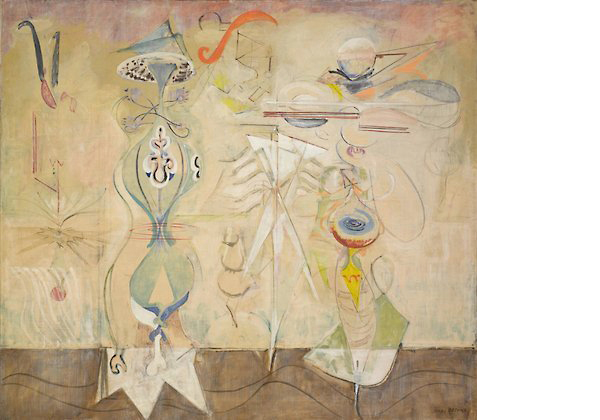 To me they form a theogony of the most elementary consciousness, hardly aware of itself beyond the will to live — a profound and moving experience,” Rothko wrote the same year he would break through to creating the spiritually infused, multiform abstractions he is known for, influenced by Clyfford Still. Primal and elemental Still’s paintings seem to animate matter and invoke a life force held within an infinite space. The purpose of his art was aimed at uplifting and liberating the human soul from the limitations of the modern age — science, mechanism, power and death. “I want the spectator to be reassured that something he values within himself has been touched and found a kind of correspondence. That being alive…is worth the labor.” And in our cynical contemporary world we forget that this idea was at one time the most imaginatively original concept an artist could convey. 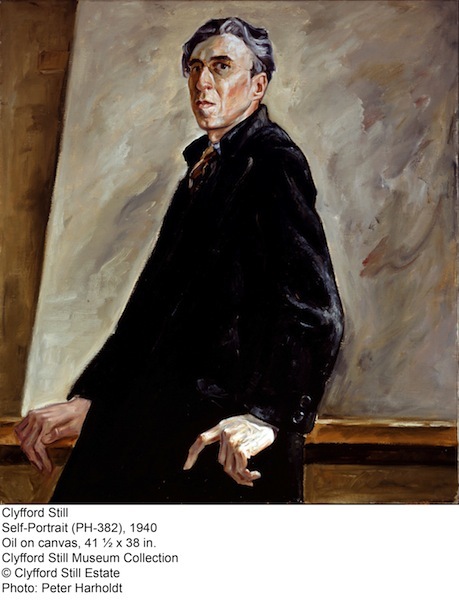 An excellent post, I thoroughly enjoyed reading about Clyfford Skill.